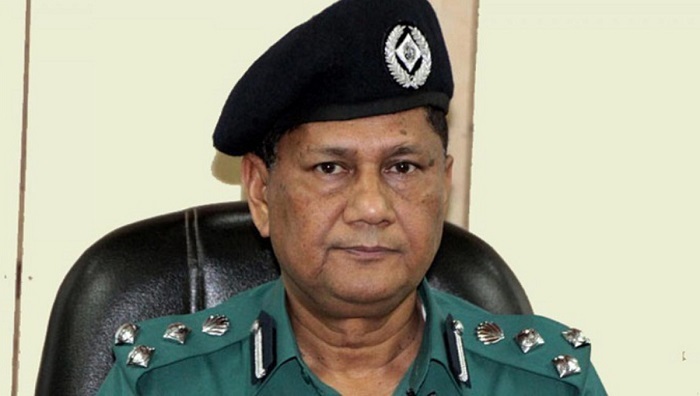 Dhaka Metropolitan Police (DMP) Commissioner Asaduzzaman Mia on Thursday admitted that the DMP and other authorities concerned have failed to ensure discipline on roads in the capital. Speaking at a views-exchange meeting, he also said the bus of Suprabhat Paribahan which killed a student of Bangladesh University of Professionals (BUP) was operating in the city without route permits, reports UNB. “The death of a meritorious student, Abrar, has demonstrated that we couldn’t ensure discipline on the roads. It’s a failure of all of us. No one of us can avoid the responsibility. We don’t want such accident to occur,” the DMP commissioner said. He also said such a tragic accident would not have taken place had all concerned performed their responsibilities with sincerity. Traffic East Division of DMP arranged the programme on traffic discipline and awareness at Mohanagar Natya Mancha. He also said they will take effective steps so that unfit and model-out vehicles cannot run in the city. “We’ll intensify our drive against the unfit vehicles. The DMP chief said Suprabhat Paribahan’s bus had the permission to ply on Dhaka-Brahmanbaria Highway, but the vehicle owners operated it Dhaka illegally. He said police filed 27 lawsuits against the bus for violating the traffic rules. Asaduzzaman Mia said only the buses that have proper fitness and other legal documents will be allowed to ply Dhaka's roads. The DMP Commissioner said maximum punishment of the Suprobhat Paribahan bus driver can be ensured since the accident took place over the zebra crossings.